Visiting the dentist regularly is essential for your oral health. People are advised to go for dental checkups on a regular basis at intervals of six months to maintain the good health of their teeth and gums. Along with keeping your smile bright and attractive, dentists also monitor your general health. The condition of a person’s mouth is a reflection of overall health. Your dentist helps you discover oral health problems such as tooth decay, identify the solutions and help to deal with the root cause of oral diseases before they become worse or complicated. 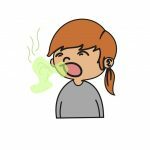 Many people know that lack of oral hygiene makes them vulnerable to bad breath, gum disease and tooth decay. Dentists are responsible for preventing and handling these types of oral issues. While checking for problems that affect the teeth, dentist use regular checkups as opportunities to assess your general health. Although there are several people who enjoy good dental health and being able to retain natural teeth as they get older, some contend with the chronic problem of cavities. A common and erroneous belief is that you only need to visit a dentist if you feel like you have a dental problem or when you are in pain. 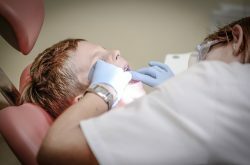 Dental visits consist of a thorough examination by dentists who specialize in oral health with the ability to diagnose and treat a wide range of conditions. Dental care covers routine checkups and complex dental health issues. Dentist Melbourne places a lot of emphasis on ongoing cost-effective, efficient, comprehensive and convenient care services. The team of oral care professionals may include assistants, hygienists and lab technicians. This team is led by a dentist, whose responsibilities include diagnosing oral problems, promoting oral disease prevention and health, providing treatment plans, interpreting diagnostic tests, administering safe treatment, monitoring teeth and gums and carrying out surgical procedures. The dentist’s role is vital for ensuring that oral care is effective and safe. Even routine procedures like tooth extractions and fillings feature possible complications, including the risk of infections, pain and excess bleeding. This is why all forms of oral care should be handled by a qualified professional. Dentistry caters to the care of more than their patients’ teeth and gums. Other areas such as the muscles, of the jaw, neck and head are covered as well as the salivary glands. Comprehensive exams typically involve examining the teeth and gums, looking for lumps or swellings and any other type of abnormality. Procedures such as diagnostic tests are performed when necessary to check for infections or chronic diseases. Dentists can recognize the early stages of disease in them mouth that indicate other parts of the body may be affected. The rigorous training that dentists receive makes it possible for them to identify situations that require referrals for further care from physicians and specialists. Oral health is associated with various general health issues, including heart disease and diabetes. This is why it is important to integrate dental health into general disease prevention because there is a link between oral and overall health risks.